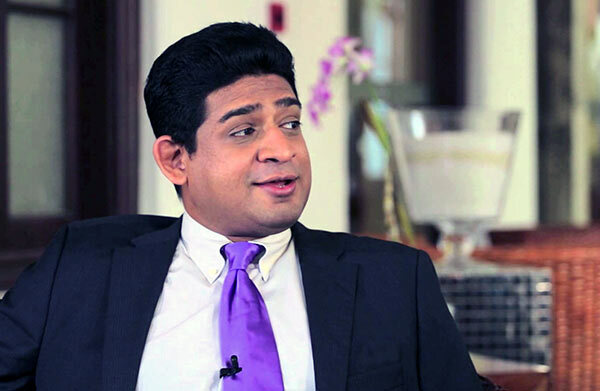 United National Party MP Wasantha Senanayake, who earlier claimed that he was resigning as the Minister of Tourism and Wildlife to join the opposition, was present at today’s Cabinet meeting, a senior minister said. He is not a decedent of DS generation. There could be a mistake mating in DS family. So checking genes of Wasantha Senanayaka should be pending. The Fake Government now in place despite Hansard notification of successful no confidence motions is the joke of the year. This man resigned his Fake Portfolio in the Fake Cabinet, in public, in the Parliamentary premises. Now he is attending the Fake Cabinet meeting. Are our politicians suffering from perennial bi-polar disorder? This guy does not know where he stands or whether he is coming or going. Shame he is still in the UNP. Kick him out. Hope you continue to wear Mascara on your face. Can you make sure price of Mascara is reduced; talk to your Boss, the Fake PM.